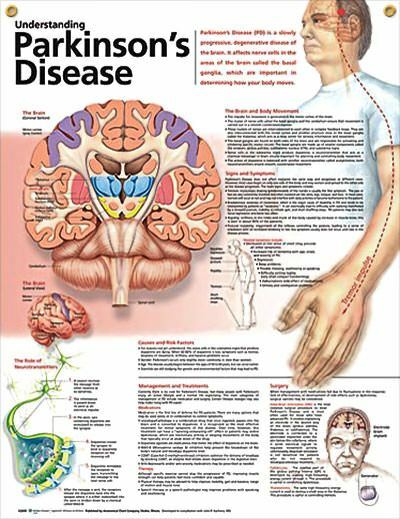 A physician will diagnose Parkinson's disease from the medical history and a neurological examination. There is no lab test that will clearly identify the disease, but brain scans are sometimes used to rule out disorders that could give rise to similar symptoms. Patients may be given levodopa and resulting relief of motor impairment tends to confirm diagnosis. The PD Society Brain Bank criteria require slowness of movement (bradykinesia) plus either rigidity, resting tremor, or postural instability. Other possible causes for these symptoms need to be ruled out. Finally, three or more of the following features are required during onset or evolution: unilateral onset, tremor at rest, progression in time, asymmetry of motor symptoms, response to levodopa for at least five years, clinical course of at least ten years and appearance of dyskinesias induced by the intake of excessive levodopa. Accuracy of diagnostic criteria evaluated at autopsy is 75–90%, with specialists such as neurologists having the highest rates.